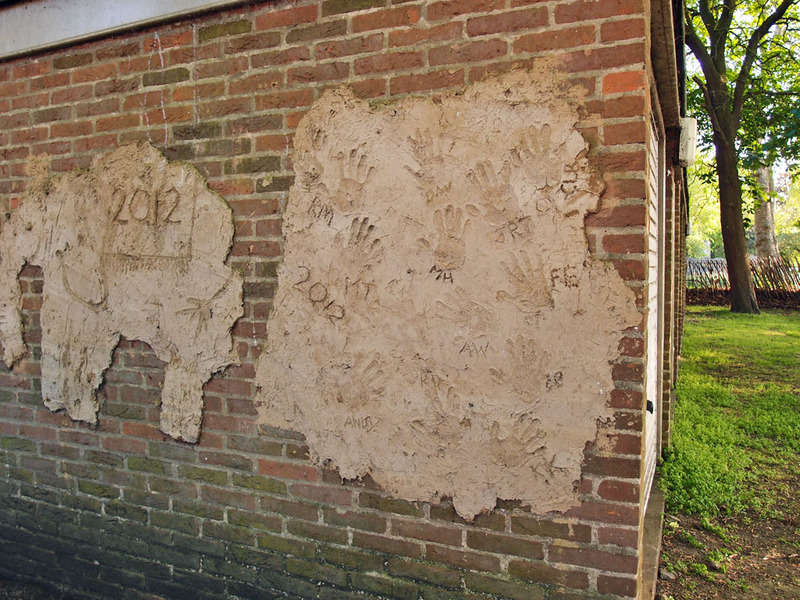 Of course, if you want to make your mark on a wall in a public place there are more environmentally friendly ways of doing it, though they’re less colourful, and more brown. 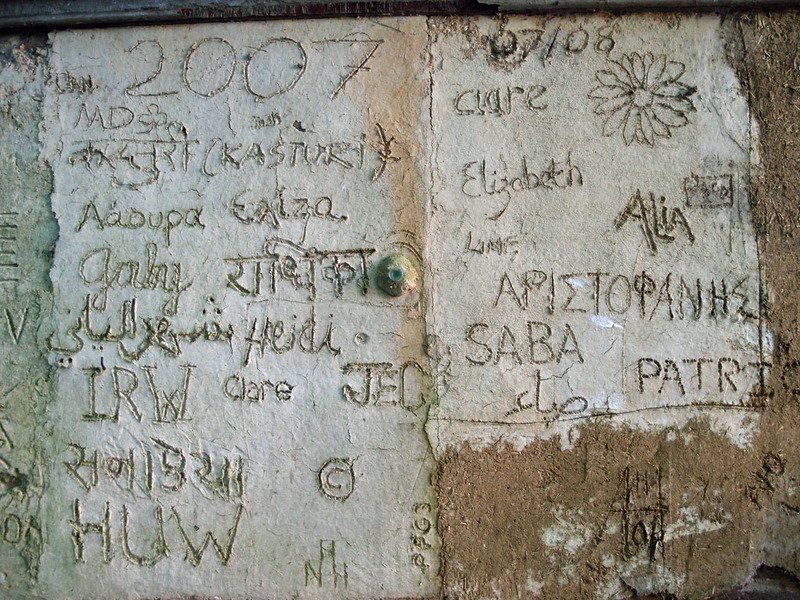 On the side of some outbuildings under trees behind King’s Manor I noticed these interesting patches, messages imprinted and scratched into what appears to be mud. I mentioned them to a friend, who looked more closely than I did and suggested that this might be wattle and daub rather than mere mud. 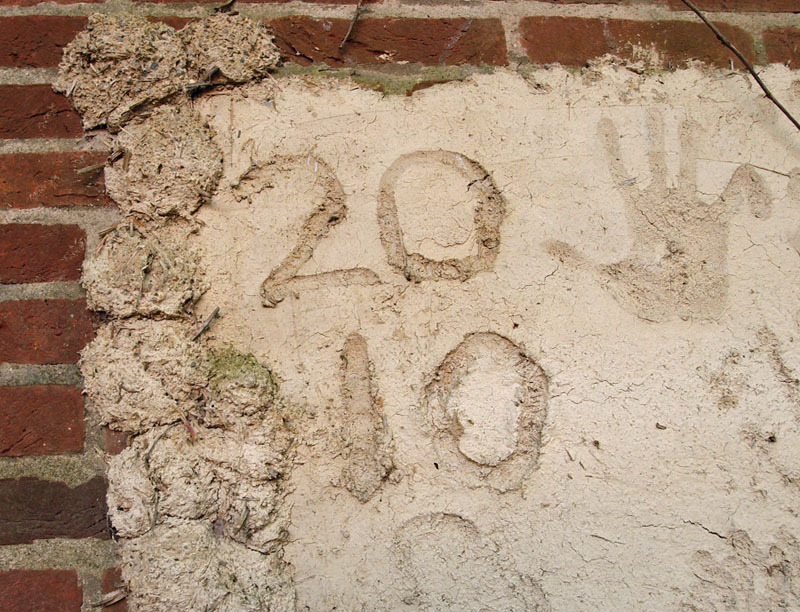 Or rather, this would be just the ‘daub’ part, as the ‘wattle’ refers to the sticks forming the structure the mixture is applied to, and this daub/mud has been applied to the brick walls of an existing building. 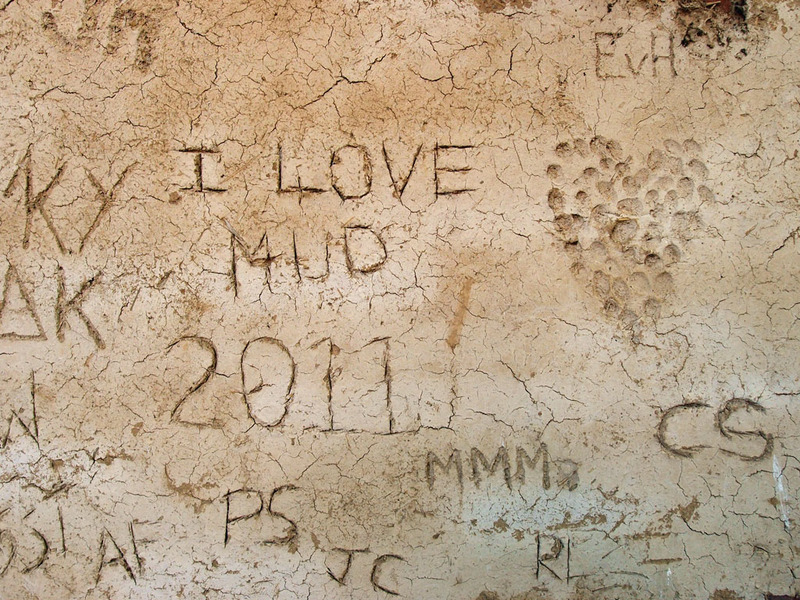 The markings in the mud include years, names, and handprints. If anyone has any further info, please feel free to add a comment. If it remains a mystery, that’s fine too. Just one of the many charming details I’ve noticed while wandering about. By Lisa @YorkStories • 13 June 2015 Art and graffiti, Details, Signs and symbols To link to this page's proper location please use the > permalink. When I posted photos of these on the Facebook group, Yorkpast&present, I was told they were done by students of the MA building conservation classes at Kings Manor, where they were learning about different historical building techniques. I think they might be made of lime plaster.